A New York Times Notable Book: A revealing look at the famous twentieth-century children’s author who brought us The BFGand Charlie and the Chocolate Factory. Few writers have had the enduring cultural influence of Roald Dahl, who inspired generations of loyal readers. Acclaimed biographer Jeremy Treglown cuts no corners in humanizing this longstanding immortal of juvenile fiction. 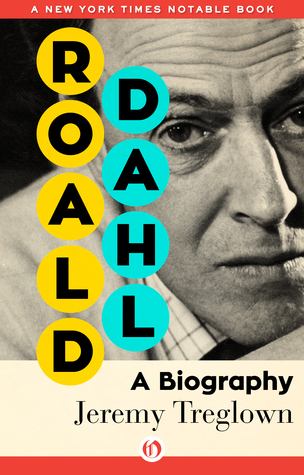 Roald Dahl explores this master of children’s literature from childhood—focusing a tight lens on the relationship between Dahl and his mother, who lovingly referred to him as “Apple”—through to his death. Treglown deftly navigates Dahl’s time as a fighter pilot in the Royal Air Force, exploring how the experience transformed many of the beliefs that influenced the English writer’s work, including The Gremlins, which was commissioned by Walt Disney. A former editor of the Times Literary Supplement, Treglown discusses many of Dahl’s most famous works, such as James and the Giant Peach and Fantastic Mr. Fox, while also delving into his marriage to actress Patricia Neal, combing through letters and archives to show a man who could be both comic and vitriolic, thoughtful yet manipulative and irascible. Treglown highlights many of Dahl’s literary achievements as well as his breakdowns and shortcomings, presenting a very personal and telling picture of the author and the inner turmoil that crippled him. Separating the man from the myth, Treglown’s frank, intimate portrait of Dahl illuminates the contradictions within the mind of this beloved author, a man who could be both a monster and a hero. It is required reading for book lovers and film buffs alike. When I was in the second grade my class had a student teacher. I don't remember her name, or what she looked like, but I do remember that she read to us ever day after lunch. The first book she read to our class was The Witches by Roald Dahl. I remember being absolutely enthralled by the story. And as if The Witches was a gateway drug, I soon became addicted to his other stories. Charlie and the Chocolate Factory, Matilda, James and the Giant Peach, The Fantastic Mr. Fox, all of these books filled my childhood. As much as I read and love these books, I knew little about the author other than he's a talented writer. I didn't know he wrote for adults as well as children. I didn't know that I have been mispronouncing his name for most of my life. And I didn't know he had a very troublesome life. People that knew him either loved or hated him. Also, he might have invented the word: gremlins. Through Jeremy Treglown's book, Roald Dahl: A Biography I learned a lot about Dahl, from his early childhood to his death, his tumultuous marriage to his career highs and lows. Roald Dahl was an interesting man. I only now realize that I've read a small portion of his work. I plan of correcting this oversight and reading more of his work in 2017. While his children's books filled my childhood, I hope to fill my adulthood with his books meant for grownups. December's NBOTB form is live! 3 Fun Halloween Books That You Can Read Anytime!